"The Holy and Sacred Synod, in unanimously accepting the proposal of the Autonomous Church of Finland under the Ecumenical Patriarchate, recorded in the Hagiologion of the Orthodox Church the Venerable John of Valaam (1873-1958), and the Holy Martyr and Confessor John of Ilomantsi (1884-1918), both of whom lived and worked there." John was born on February 14, 1873 in the Tver province of Russia into a peasant family. He graduated from the parish school of the village of Il’inskoe. In 1889, he entered Valaam Monastery. After spending four years in the Skete of Saint Herman of Valaam, he was conscripted into the army for another four years. Released from military service, he temporarily returned home before returning, in 1901, to Valaam. John was given obedience for two years at the metochion of the Valaam Monastery in St. Petersburg. Later, he wrote that the city had a bad influence on him and that he, weak in spirit, could not accommodate the urban bustle. In 1906, John became a novice at Valaam Monastery and, on May 22, 1910, he was tonsured a monk with the name of Hyacinth. After repeated petitions, Hyacinth returned to the monastery and lived initially in Prophet Elias Skete, then later in the Skete of Saint John the Baptist. On October 19, 1921, he was appointed abbot of Saint Tryphon of Pechenga Monastery. Then on November 13, he was ordained a hierodeacon and on November 15 a hieromonk. At that time, the monastery was within the territory of the newly independent Finland. In 1932, Hyacinth returned to Valaam and, in 1933, he was tonsured in Great Schema with the name John and began to live in seclusion in the Skete of Saint John the Baptist. In 1938, he was elected the spiritual father of the monastery. In 1940, Fr. John was evacuated with the other brethren to Finland during the Winter War between the Soviet Union and Finland. The elder reposed on June 5, 1958, in the New Valaam Monastery in Finland. John (Johannes) Karhapää was born in 1884 to a farmer's family in Sonkajanranta village, Ilomantsi, North Karelia. He was a member of the local youth section of the Brotherhood of Saints Sergius and Herman adopting a deep Orthodox faith in his early childhood. In 1906, Karhapää requested by the then-archbishop of Vyborg and all Finland Sergius (Stragorodsky) to open a religious school in his home village, as the Evangelical Lutheran Church of Finland had launched a campaign for Lutheranizing the traditionally Orthodox Karelia. In 1908 the completed school was built by Karhapää and the Karelian Brotherhood, an organization established in Olonets to oppose the Lutheranization. Karhapää now started working as a domestic missionary across Karelia with the monks of Valaam Monastery. Since 1914, he was a traveling religion teacher in Kuopio Province. Karhapää was also active in the completion of the Church of Anna the Prophetess, consecrated in Tuupovaara in 1915. The church was built by the Karelian Brotherhood and financed by a wealthy Saint Petersburg businessman. Due to his activities, the Finnish nationalists accused Karhapää of supporting the Russification of Finland and promoting the ″Russian faith″ (Finnish: ″Ryssän usko″, the word ryssä is a racist slur for Russian), calling him a collaborator of the Russian secret police Okhrana. The nationalist press accused Karhapää of ″anti-Finnish″ politics. He was called the ″dark force of North Karelia″, as the nationalists claimed the Karelians were not aware of their true religion and ethnicity. Instead of defending himself against the accusations, Karhapää focused on his religious work. According to the Church historian Kauko Pirinen, Karhapää's work was only influenced by his deep faith but not any kind of politics. After the 1917 Russian Revolution, the Karelian Brotherhood owned schools and churches were closed, and the harassment on Karhapää became even more intense. The Finnish right-wing nationalists called him a Bolshevik, although he had supported the Tsarist regime. 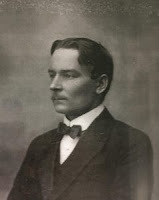 Karhapää was finally expelled of his teaching position just before Finland gained its independence in December 1917. As the Finnish Civil War broke out in January 1918, Karhapää was soon called to join the White Army, but was arrested at the conscription meeting, and transferred to Joensuu where he was placed in a prison camp set up for the Reds. After a while, Karhapää was executed by a firing squad and buried in a mass grave. The exact date of Karhapää's death is not known. According to his wife, Karhapää was executed on 8 March, but the War Victims of Finland 1914–1922 database says he was shot on 7 March. Karhapää's body was finally handed over to his wife in December 1918, and buried in Ilomantsi, where a large crowd of local Orthodox and Lutherans attended the funeral. Karhapää's gravestone was stolen twice and thrown in the nearby lake until it was cast in concrete.